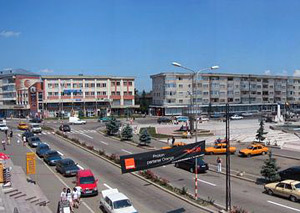 It is an old Moldavian town, founded in 1870. 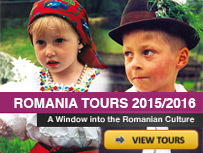 It lies in a fruit-growing area, 65 km away from Suceava. The Town Museum is situated in an edifice that was built in 1868, edifice which contains “ Sculptor Ion Irimiescu’s Collection”(more than 120 sculptures and 130 drawings donated by the artist) and The Plastic Art Gallery where one can see works belonging to painters from Falticeni. The famous people gallery presents documents and various items through which are revealed the lives of people of culture that lived there: writers such as Ion Creanga, Nicu Gane, Mihail Sadoveanu, Sofica Cocea, I. Dragoslav, Anton Holban, Nicolae Labis; the folklorist Artur Gorovei, the literary critic Eugen Lovinescu etc. Ion Creanga Street it used to be called “ Ulita Radasenilor” and it holds many old houses, where famous writers used to live, some of them being Ion Creanga, Mihail Sadoveanu etc. Memorial Museum from Malini. In this village the poet Nicolae Labis was born and spent his childhood. In the surroundings one may visit the following locations: Radaseni, a small village situated 3 km away from Falticeni. Architecture monuments made of wood can be seen there. They were built in 1623 and 1703. Baia Church is situated 7 km away from the town. 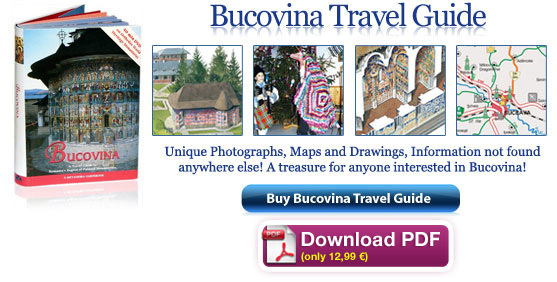 It was the first capital of Moldavia (around 1300). Rasca Monastery lies in Rasca village, 18 km away from Falticeni. It was built by Petru Rares in 1542. Probota Monastery is situated in Probota village, 27 km away from Falticeni. It was built by Petru Rares in 1530 and rebuilt by UNESCO and by the Ministry of Culture not long ago. Slatina Monastery lies 36 km from Falticeni. It was built by Alexandru Lapusneanu in 1561.